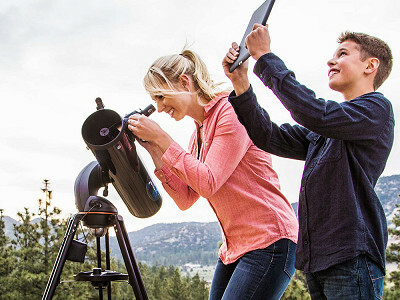 These telescopes and binoculars let you experience your terrestrial surroundings up close, and get a prime view as you travel through space. 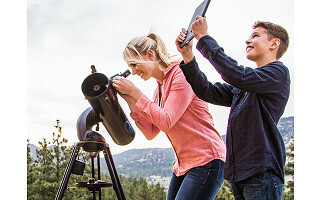 Celestron has been enhancing the optics and build of their technology since the 1960s so much that their newest models include Wi-Fi. The wide aperture on the binoculars equips them for high-contrast, sharp astronomical viewing as well as close-up views of surrounding landscapes. And the telescope gives you vibrant, crisp images as you journey through Jupiter’s belt and Saturn’s rings. Their Astro Fi telescope model integrates Wi-Fi from this planet so you can better explore the next. Hold your phone or tablet to the night sky and tap what you want to view. The telescope will shift to frame that. Celestron is the equivalent to getting VIP seats to your favorite show . . . the universe. Hello everyone! I'm proud to introduce Celestron to The Grommet. I'd be happy to answer any questions you have! 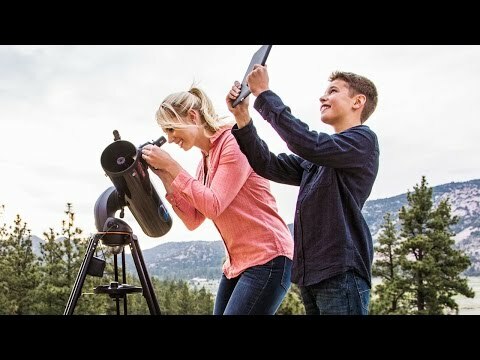 So as a beginner to the hobby I am just wondering what I can see with which telescope or binocular. And what will I not be able to see with the less expensive offers that I might want to look at with the more expensive telescope. And what can I do with the WiFi. 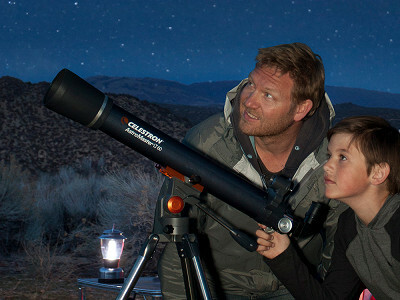 @Ken Binoculars will show you less magnified but much wider, more “panoramic” views of the night sky than a telescope. They can also be easily used for daytime terrestrial viewing. 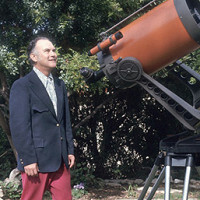 - With telescopes the larger the diameter of the front lens, the more light that is collected and the better the view. - The wi fi telescopes allow you to locate the celestial objects using the SkyPortal App, and then to benefit from the vast planetarium like images and information contained in the SkyPortal App. It takes learning about the celestial objects to a whole new level. I hope she's not looking at the sun! I did that once as a kid.....lots of pain, but apparently no damage. @Nick Correct, absolutely no looking at the sun without the proper filters and blockers!!! These telescopes and binoculars let you experience your terrestrial surroundings up close, and get a prime view as you travel through space. 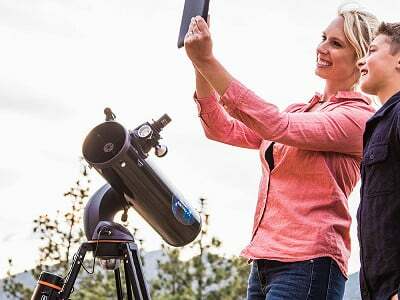 Celestron has been enhancing the optics and build of their technology since the 1960s so much that their newest models include Wi-Fi. 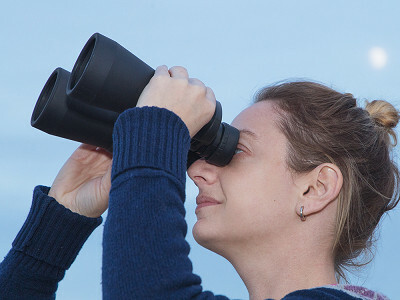 The wide aperture on the binoculars equips them for high-contrast, sharp astronomical viewing as well as close-up views of surrounding landscapes. And the telescope gives you vibrant, crisp images as you journey through Jupiter’s belt and Saturn’s rings. Their Astro Fi telescope model integrates Wi-Fi from this planet so you can better explore the next. Hold your phone or tablet to the night sky and tap what you want to view. The telescope will shift to frame that.